Moroni was born in Albino in the foothills of the Alps, north-east of Bergamo. From the mid 1530s until the early 1540s he trained in Brescia under the painter Alessandro Bonvicino, known as Moretto, with whom he collaborated for a time in the later 1540s. He then settled in Bergamo where, during the 1550s, he established himself as the city’s leading painter. Then, for unknown reasons, he decided to return to the small town of Albino. This remained his base from the early 1560s for the rest of his life. Although he undertook commissions for religious subjects, Moroni is chiefly remarkable for his portraits which stand apart from the mainstream of Renaissance portraiture for their stern objectivity and startling vitality. While many of his clients were from patrician families, he also took subjects from less elevated ranks of society, the most famous example being a portrait in the National Gallery, London, representing a tailor at work. The intensity of Moroni's portraiture depends on a precision and simplicity which were a novelty in the mid 16th century. 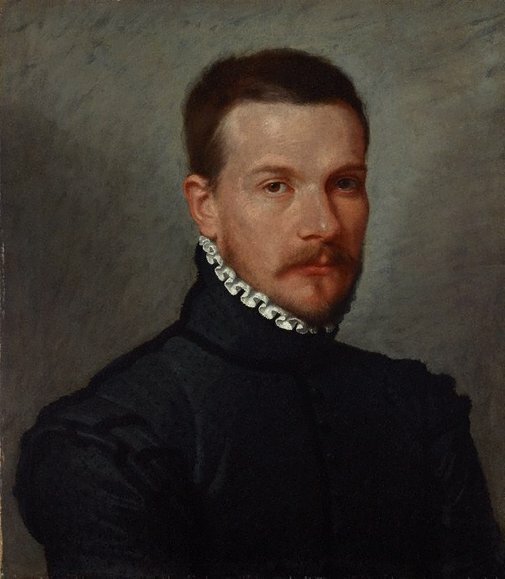 The 'Portrait of a man' in Sydney, is one of a number of simple bust length portraits painted during the artist’s later period in which attention is concentrated exclusively on the sitter’s head and shoulders. 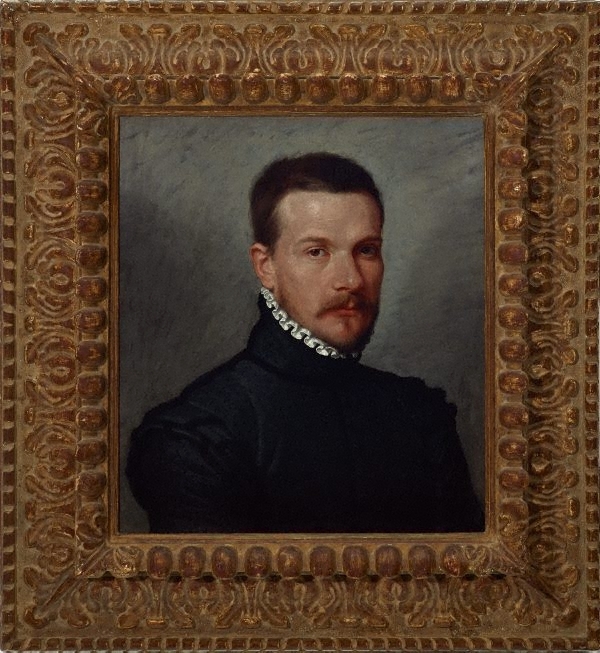 Bust length portraits, with their reference to the sculpture of classical antiquity, were outmoded by the mid-16th century, but the format was revived by Moroni as a means focussing on the sitter’s psychology. Thus, although we see only the head and shoulders there is a tension in the figure which suggests he is standing, perhaps with his hands clasped in front of him. His pose is not relaxed and the light that flickers over the features lends them a vibrancy which is not without a shade of introspective anxiety, and hence of humanity.